Join the fun at the 3rd Annual Crown Point Corn Festival on Saturday, August 24th from 1-8 pm. This festival is located directly on a secluded site where the corn is raised. Feast on sumptuous sweet corn, grown on site, catering by Dacy Meadow Farm, frosty brews by Ledge Hill Brewing Co. and other goodies. 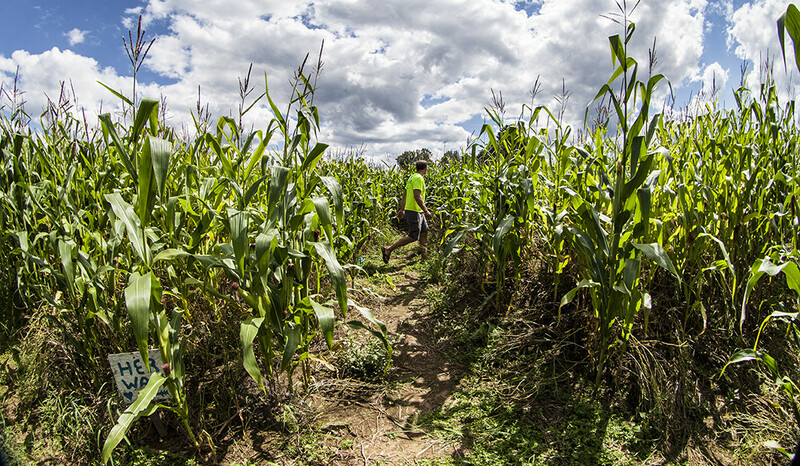 Accept the challenge of the Near-Mile Fun Run laid out on a mowed path on this beautiful creek-side farmland. Live musical entertainment with the northeastern Blue Grass favorite, Just Passin' Through and folk-country tunes by Town Meeting will provide enjoyment throughout the festival. Kids' games, Penelope the Clown, local produce, a silent auction, vendors, and more. Senior, children and handicapped friendly event. All proceeds benefit the Crown Point Train Station restoration. $5 donation per person includes corn, corn fritters, and garden salad.